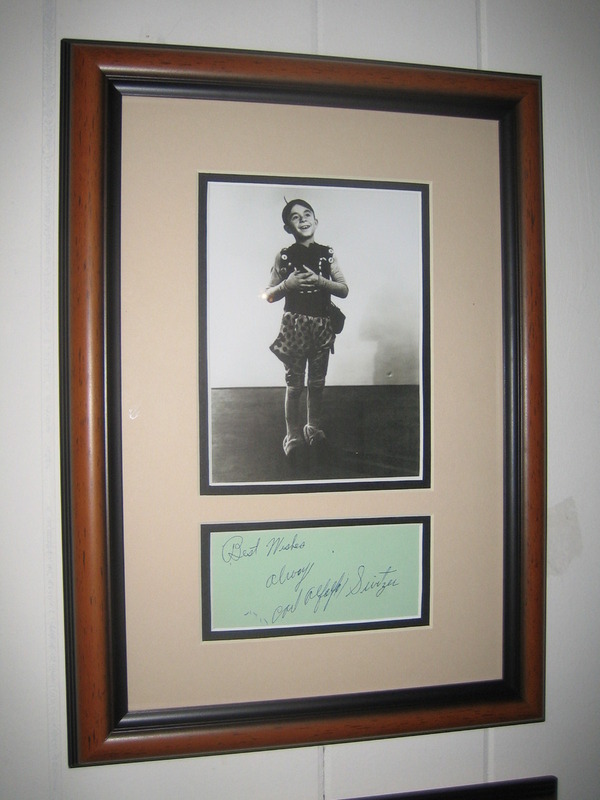 RARE Carl "Alfalfa"Switzer Signed Album page. Signed during the production of "The High and the Mighty"by Flo Campbell mother of actor William Campbell. Custom matted and framed with photo to a 9x13inch format. For sale at AWA, Inc. www.sign-here.com.